Inhale is a project that explores how personalized information experience can help to build an emotional connection between data and audiences. Because of this emotional connection, data becomes more engaging, memorable, and influential meanwhile without sacrificing its objectivity, accuracy, and efficiency. 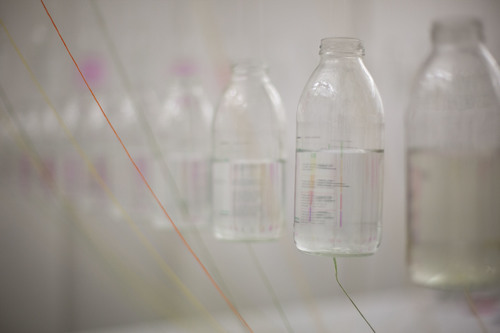 This installation presented the growing concern of particle pollution in the air. 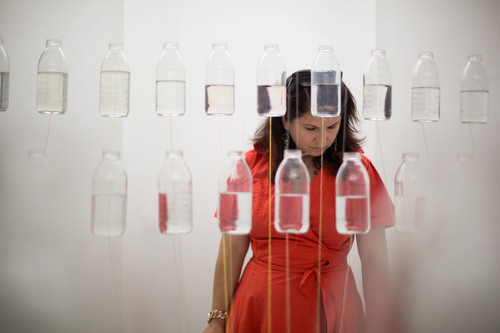 A hundred bottles hanging above represent cities from different continents. The water level of each bottle marks city’s pollution index. The color of the water represents the pollution levels. The yarn connects bottles with cities of which they indicate perspectively on the map. Bottles sit on the table contain a different solution. The information on each bottle incites people to act in fighting pollution. This project encourages audiences to be an active interactor instead of a passive observer. 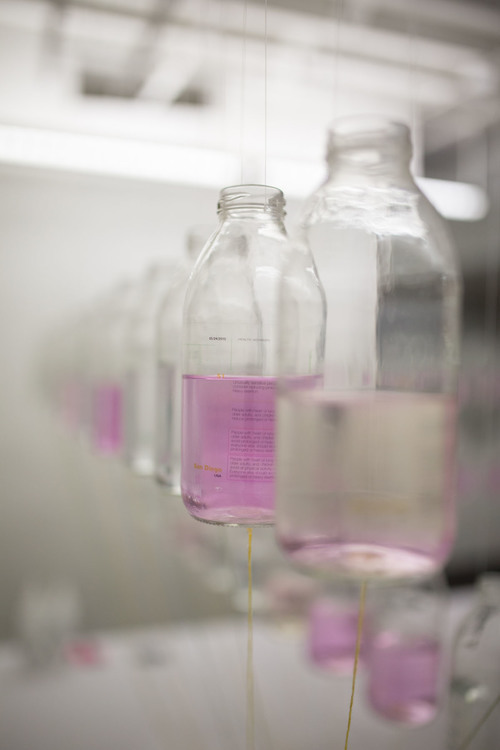 By taking the action of adding the solution into a hanging bottle, interactor can see the colored water gradually fade away as the water level rises, which indicates the pollution index decreases.